Depp should "build a bridge and get over it"
BARNABY Joyce is collecting a fleet of introductions: Member for New England, Leader of the National Party, Deputy Prime Minister of Australia and, as George Christensen chimed in with yesterday, Johnny Depp's nemesis. American actor Johnny Depp appeared on talk show Jimmy Kimmel Live this week, where he claimed Mr Joyce looked "somehow like an inbred tomato" that he was worried would explode during the saga last year, where Mr Depp and wife Amber Heard smuggled their dogs into Australia. 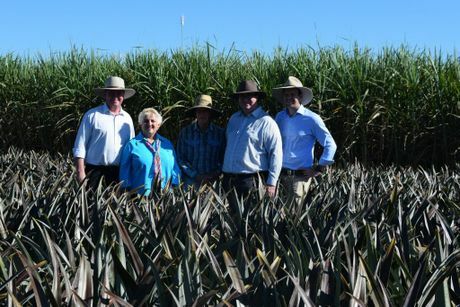 But, speaking at Bucasia cane growers Ray and Trevor Jenvey's farm yesterday Mr Joyce laughed at the turn of phrase and said he felt Mr Depp "has got to build a bridge and get over it". Yesterday Mr Depp and Ms Heard also announced their divorce; however, Mr Joyce was reluctant to comment on the subject. "Mr Depp and I have issues. But I never want to revel in anyone's relationship breakdown," he said. It was more serious issues, like the $3 million funding to a Urannah Dam feasibility study, that brought the Deputy Prime Minister to Mackay yesterday. Although the announcement came as the government is in caretaker mode, Mr Joyce confirmed it was in the budget. He also pointed out it was backed up with a series of other agricultural funding and concessional loan facilities. "What this actually shows is we're fair dinkum about actually building water infrastructure," he said. "We know that water is wealth. If you can store it, if you can hold it, you can drive the economy forward." Federal Member for Capricornia Michelle Landry was also in attendance and said Urannah Dam could be a lifeline for communities like Collinsville suffering since the downturn in the mining industry, as it would allow them to expand in agriculture. However, feasibility studies for the dam had been tipped to cost $5, not $3 million. 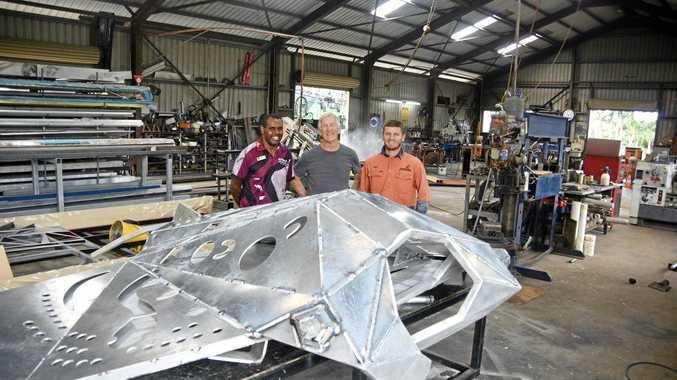 With private sector company Initiative Capital committing $1 million and the Federal Government stumping up $3 million, Federal Member for Dawson George Christensen called on the State Government to fund the remaining $1 million. "They probably won't be able to get funding for the environmental impact assessment and I'd say given that is a State Government requirement, perhaps a contribution from the State Government needs to happen at Urannah Dam as well," he said. Mr Joyce also fronted questions about how he would help Queensland dairy farmers, following a Federal Government commitment this week of a $555 million loan package to help Victorian dairy farmers. "In fighting for the people in Victoria, we are also dealing with the issues of the dairy farmer in general," he said. "In fact, after the election I'll have a symposium and I'll be bringing people down to Canberra and we'll see if we can come up with a longer term solution within the dairy industry." While he wouldn't state whether there was a consideration to allow Queensland dairy farmers eligibility for the concessional loans scheme, he said he would deal "with the epicentre and then have further discussions with the dairy industry in general". 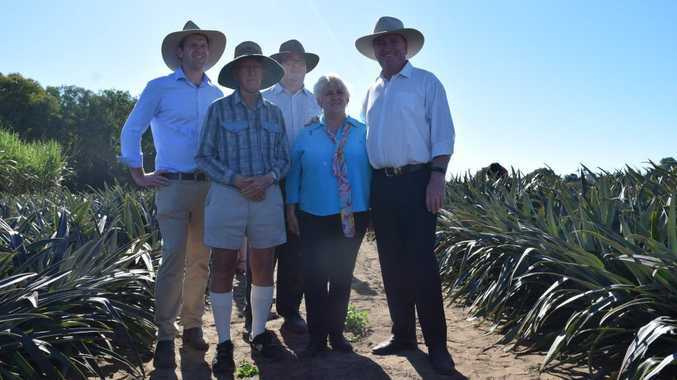 The visit from the four politicians followed a press conference in Rockhampton where Prime Minister Malcolm Turnbull gave $130 million funding for Rookwood Weir, which made the $3 million for Urannah pale in comparison. Once again the Prime Minister opted out of visiting Mackay. But as Mr Joyce said yesterday: "We are in this area because we take voters very seriously and we will be back."